Mixing tile is a wonderful way to express yourself. It also makes your living space personal. 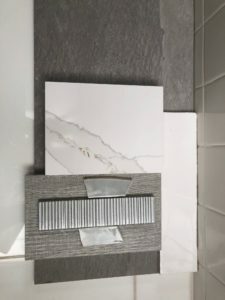 The art of mixing tile is not always easy. 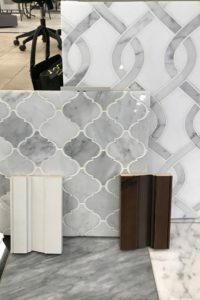 You can mix tile by color, finish, texture and/or design. The important aspect to consider is the scale and size of the tiles, tonality and actual color of the tile. Normally you want start with your favorite tile and build from there. 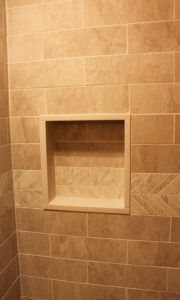 You also want to utilize the tile to create interests in the room such as baseboard, crown molding or to separate areas. 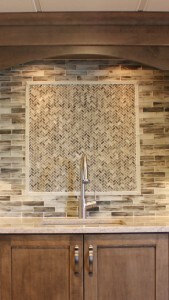 Mixing tile can be for complete rooms, floor to ceiling or just accented areas, such as backsplashes or one wall.